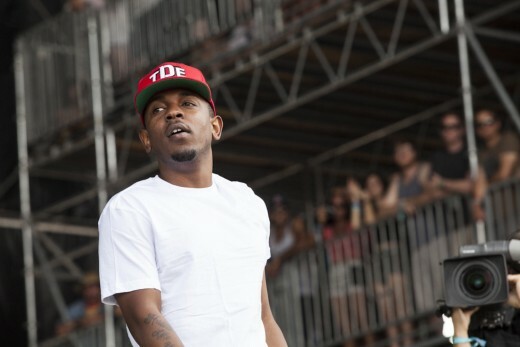 Ladies and gentlemen, Kendrick Lamar is here to stay. 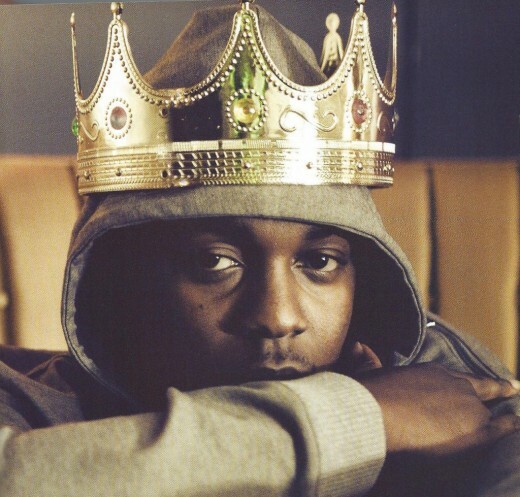 After shaking up the scene in a revisionist and bold way with his 2012 major label debut "Good Kid, M.A.A.D City" that coincided by being signed with Dr. Dre's Aftermath Entertainment, Mr. Lamar thrust himself into the national consciousness with the singular goal of purifying music and, by extension, hip-hop into its essence. While this may seem, at first notion, like a New Age principle that in no way befits the image of a tough-as-nails street rapper, Kendrick immediately asserted that he is really none of those things. In actuality, Kendrick is a guy who remains constantly out of his element, never settling into the status quo and never being pinned down by conventionality and monotony. While the references throughout his 2012 album of his hometown of Compton, California are in plain sight, he never let the worst of where he grew up define him. Which brings me to this mesmerizing current album that just dropped. To say it is something anyone could have hoped for would be irrational as this is an album we'd never expect to get and, more to the point, would likely be seen as "wishful thinking" as we remain deeply entrenched in the canned and soul-sucking pop sound of Katy Perry, Bruno Mars and Taylor Swift. While I am an avid hip-hop enthusiast, I want to clear everything up that this is not a biased statement but one that is rooted in genuinely wanting more out of my listening experience. Music that thinks and feels and provokes conversation where the lines of genre are blurred and all that is presented is insightful and soul-bearing energy that never panders or seeks to please for the sake of it. What truly makes this album come together is how much risk-taking the production takes and yet it hits all the right notes. You would think a multi-faceted album with such lofty ambitions - merging jazz, hip-hop, spoken word and George Clinton-era funk could run the risk of falling on its face. Thankfully, this is not a case of "artist bites off more than he can chew" but rather Kendrick accomplishes such pinpoint synergy between these genres and channels what made his textured and ambidextrous first outing such a success. Only here, he spins the ingredients in ways that only a master chef would - a gourmet pu pu platter served and delivered with authenticity and commitment to craft. Interestingly, Kendrick, prior to the album's drop (which first hit his Spotify channel and could be freely streamed), was very hush hush about any details regarding the album. Unlike the accidental leakage that occurred with Eminem's 2013 extremely undeserved but nonetheless Grammy-winning record "Marshal Mathers LP 2", Mr. Lamar was able to keep the whole project buttoned up right until its release. He only teased some cuts by performing the track "i" on Jimmy Kimmel live to totally rabid fanfare. Kimmel later sat down with him in an interview and proceeded to pick his brain and sing his rightful praises as he attempted to ascertain all of the inspirations behind the album. And, upon first listen it may not be immediately evident what they are but that's half the fun and the replay value is (in this reviewer's mind) endless. I have several favorites on this record, even though, on the whole, every single one of them aligns like a 3,000 pc jigsaw puzzle - elaborate, embellished, occasionally flawed but nonetheless entertaining and aggressively thought-provoking. It is almost like witnessing the Sistine Chapel for the first time or visiting St. Patrick's Cathedral. Initially, you are awed and befuddled as to how it was constructed and the laborious man hours that went into erecting it. But, as you settle into it and begin to explore it, it takes hold of you and you not only appreciate it but you gain a perspective you never had before. This is the kind of music (and art in general) that I've always sought - work that challenges a viewer's expectations and takes any preconceived notions and utterly blows them out of the water. This reviewer never listens to the radio (except talk radio like WNYC or NPR) and is constantly on streaming services like SoundCloud or other music hosting sites as I scour the net for talented independent artists who value not only what i mentioned above but also making a record as audibly resonant as it is lyrically or conceptually. It is all too easy to get carried away by high-concept ideas and many artists unfortunately get too ahead of themselves and aren't able to reign themselves in creatively. 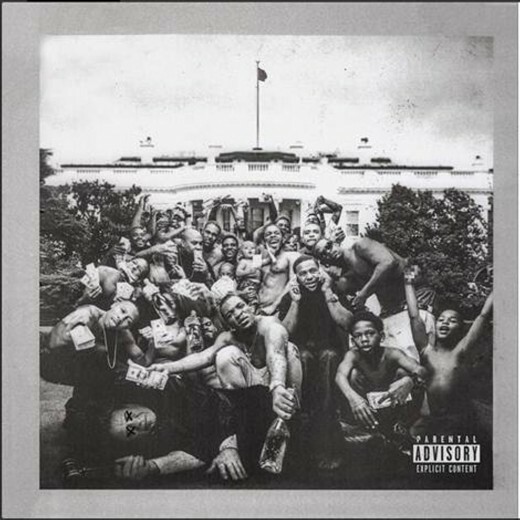 In Kendrick's case, despite the fact that he is signed to a major label, this record never feels contrived or misdirected as the production values - from the frequent sampling, to the original beat making and especially to the sharp lyricism - all fit like a glove. If Kendrick's implied assertion is that he wants to be the greatest living rapper, he doesn't overtly say it and remains one of the most humble forces in the genre. He is essentially the anti-Kanye and even though there are more than several similarities between them - the well-constructed and ambitious output being the most distinct - there are also plenty of differences as Kendrick doesn't wear his pride on his sleeve like the aforementioned Mr. West. In interviews and even when he visits and (teaches!) at U.S public schools, he retains his humility and if there is any kind of takeaway to be had from his model of conducting himself, it would be exactly that. As far as his skill-level, not even Shady in his prime could touch him. But, he has more than a few vying for the current "rap god" title including Drake, Action Bronson, Earl Sweatshirt, Danny Brown and Childish Gambino. But if you think he's even the least bit anxious about his competition, fear not, because it doesn't seem like he even cares. He does what he does for the pleasure of it and to grab his audience by the frontal lobes and force them to acknowledge their (many times) miserable state of condition. From politics, to social phobias, to the economy, he seems to be one of the most well-versed voices to emerge in this new 21st century Renaissance of Rap. Here's hoping he keeps on chugging and never gets complacent because I know one thing is for certain: he'll always have my ever-present attention. Great review man. I don't think any other artist(s) could pull off the type of hybrid album that is "To Pimp A Butterfly." It's funny how people were wondering if this album was going to be a 'flop', or at least compared to GKMC. Well I never had a doubt because even before GKMC he was releasing incredible projects. 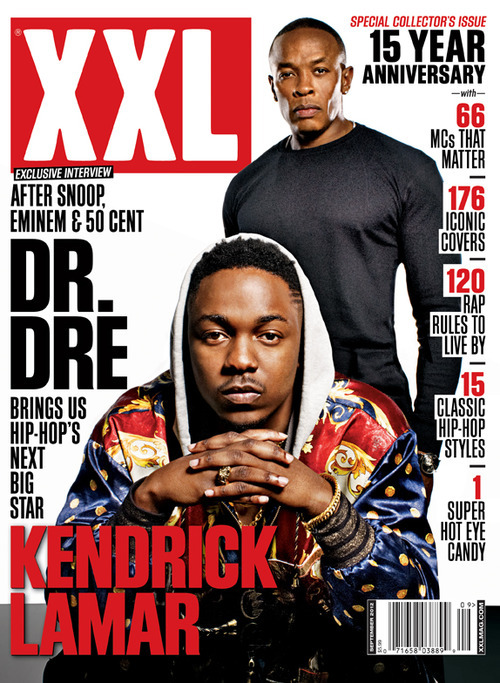 I look forward to watching Kendrick develop as an artist and an emcee. Anyway, once again, wonderful hub!